Directions | Hall's Pump and Well Service, INC.
To get directions to Hall's Pump and Well Service, you may use the Google Maps link or, utilize one of the preset directions below. Each of the preset directions have a 'Copy to clipboard' utility button which allows you to copy the directions, which will also include our street address and phone number. Once copied, you can paste the contents into any application of your choosing. Hall's Pump and Well Service 904 NW Main Blvd Lake City, FL 32055 (386) 752-1854 From I-75 North towards Lake City: Continue on I-75 N to FL-24 W/FL-26 W/Lake City Take exit 427 to merge onto US-90 E/W US Hwy 90 (0.3 mi) Merge onto US-90 E/W US Hwy 90 & pass Arby's on your left (0.5 mi) Turn left onto NW Real Terrace (0.5 mi) Turn left onto NW Bascom Norris Dr (2.8 mi) Turn right onto US-41 S/NW Main Blvd (0.2 mi) Turn right again after about 75ft. Turn right again after about 75ft. Hall's Pump and Well Service 904 NW Main Blvd Lake City, FL 32055 (386) 752-1854 Follow I-75 S to exit 435 to merge onto I-10 E toward Jacksonville Take exit 435 (5.4 mi) Take exit 301 for U.S. 41 toward Lake City/White Springs (0.3 mi) Turn right onto US-41 S (signs for Lake City) (3.2 mi) Turn right again after about 75ft. 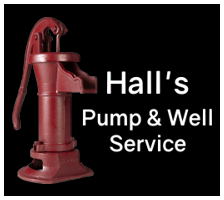 Hall's Pump and Well Service 904 NW Main Blvd Lake City, FL 32055 (386) 752-1854 From I-10 W towards Lake City: Continue on I-10 W. Take exit 301 for US 41 toward Lake City/White City (0.1 mi) Turn right onto US-41 S (3.5 mi) Turn right again after about 75ft. Hall's Pump and Well Service 904 NW Main Blvd Lake City, FL 32055 (386) 752-1854 Continue to follow FL-47 N From Fort White High School it is about 13.6 miles to a Subway Restaurant on the right Continue down FL-47 N Use any lane to turn left onto SW Main Blvd (2.7 mi) Turn left again after about 121ft. Turn left again after about 121ft.